Embrace the Wisdom of your Moon Cycle through Movement and Meditation. Join this sacred space to honor the goddess within, and welcome the flow instead of dreading it. This event takes place every 3rd Sunday. Connect with Your Spirit Guides. In this class you will learn to become a channel for divine energy and guidance through the Akashic records - a vibrational record of all. Join us for a monthly community dance party! Prepare for take off into a star lit healing vortex of dance movement therapy! Join us for a holistic journey of warm-up, exploration, immersion, and reflection. Level one is the gentle introduction to the concepts of Reiki Healing. During this course you will connect directly to the Reiki source through Holy Fire. Release all tangles, all beliefs, and all perceptions that keep you from knowing and feeling your free. Remember the movement of your true self that knows no restriction and is in the experience of all possible. A "healing circle" is a group of like-minded people who give or receive healing, energy work or bodywork. Power is created by the intention of the group to heal, learn and give. Sat Nam is known for its commUNITY. 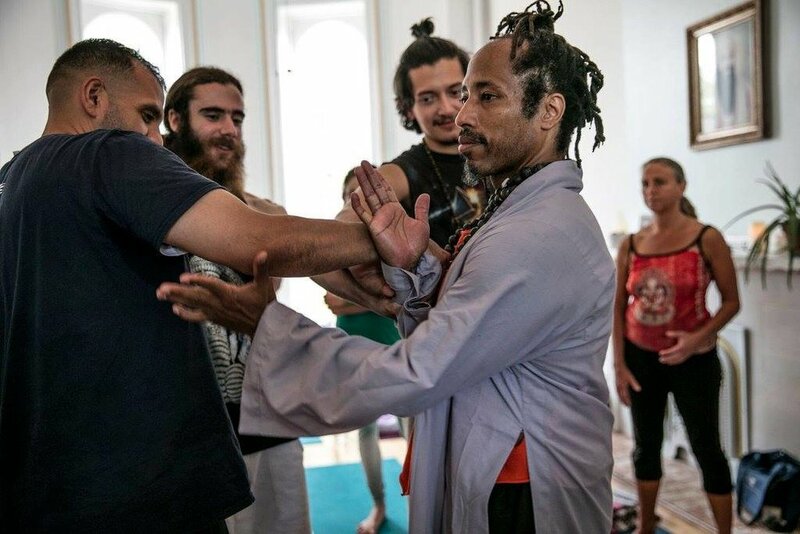 The elevation and experience of Self that comes from our yoga is enhanced by the support of those that share the space. Tune into the tranquility of merged minds and hearts, explore styles ranging from Kundalini Yoga to Restorative, Tai Chi to Dance. Our New Student $20 for 2 Week Deal gives you membership access! Explore unlimited classes, community events and free entry to our Full Moon & New Moon Ceremonies! We seek to provide you with a whole approach to your health and happiness. Sat Nam offers a full healing services menu with body work, energy work and a variety of intuitive readings. Accelerate your healing process, move through stress, and find the clarity you need to excel in your day-to-day. Healing services are an extension of our practice that offer time and space to further develop your self care strategy. Our resident healers conduct their sessions with the highest level of intention, awareness and compassion for your personal story and your needs. Appointments are available 7 days a week and we are here to serve you. A yoga studio, a place of healing, for higher learning, where you can work out your stress. “The place I learned to be me.” Sat Nam is what you need it to be, it’s community. Check out our testimonials page to see what Sat Nam is to some, and join us to discover your own Sat Nam - your Truth in the oneness of our supportive container. Awww Snap, Sat Nam has an App! Through the Sat Nam Yoga App you can view up-to-date class, workshop and healing service schedules, book a session on the spot and add reminders to your calendar. With all this, and the ability to book multiple recurring classes with the tap of your Jupiter finger, the Sat Nam Yoga app makes it easier than ever to "keep up" with your yoga home.